I had the pleasure of being invited to a late-night geek meet, hosted Novanet, a consulting company focusing on the Microsoft platform. I was invited to attend the meet by my future collegue in Microsoft, Arif Shafique, something I appreciated greatly. The second speaker, Einar Engebretsen, gave a very good introduction to Domain-Driven Design. It smoothly transitionined to the open-sourced Bifrost Framework, which focuses on delivering business value through the use of well-established patterns such as CQRS and MVVM. Followhing this speech, I have decided to use this framework in my soon-to-be-announced super-secret â€œWater my Plantsâ€ gadgeteerproject, and and the same time see if I can mend some of the misinterpretations that I have built up around DDD. Einar is the kind of speaker who demonstrates by giving examples, all coding is done live, and as usual accompanied by deep insight and inspiration. Einar is, in short, pure coding awesomeness! 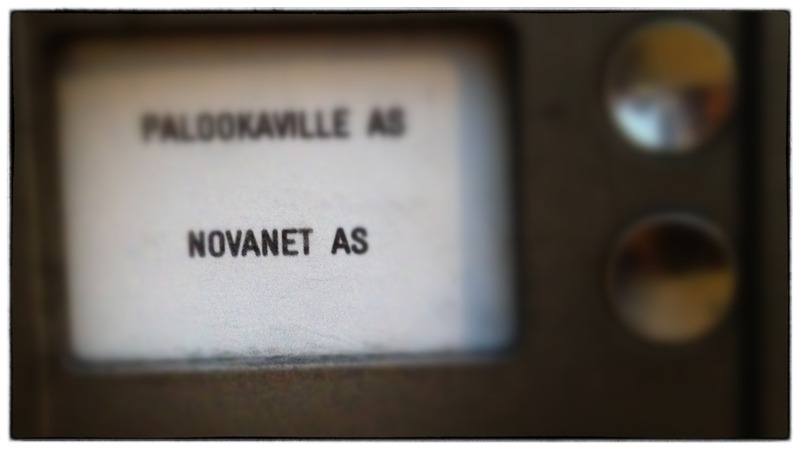 Once more, thank you, Novanet for a great and geeky meetup! I’m interested in hearing some more about your super secret plant watering project!